— This article by Jerry Cates, first published on 3 September 2016, was last expanded on 10 September 2016. © Budsinthenews Vol. 7:9(1). 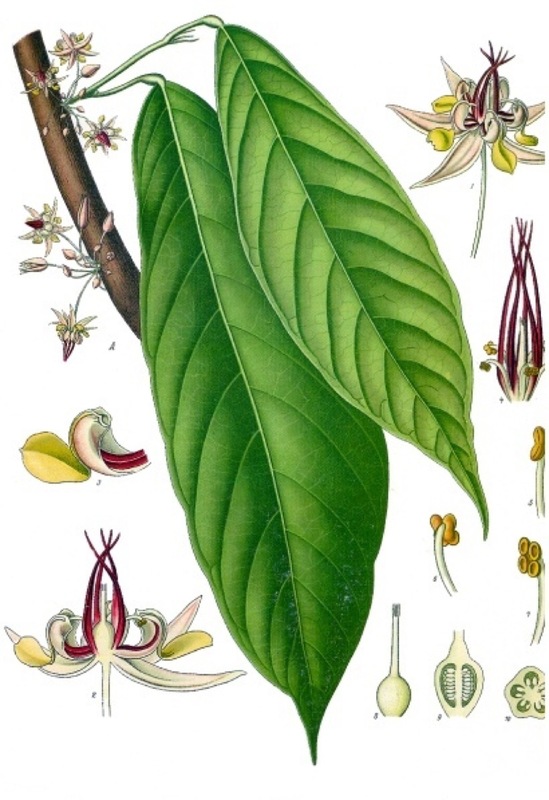 This plant is variously referred to as the cacao tree and the cocoa tree. It is a relatively small evergreen in the Malvaceae family, and is native to the tropics of Central and South America. It is famous for the cocoa beans — seeds produced by this plant — which are used to make cocoa mass, cocoa powder, and chocolate. As shown in Köhler’s illustration, the leaves are alternate, entire, and unlobed. Flowers are cauliflory, i.e., borne in clusters directly on the trunk and on older branches; they are small (1-2 cm dia.) each with a pink calyx, and unlike most flowers that are pollinated by bees, are pollinated by Forcipomyia midges in the subfamily Forcipomyiinae. The relatively large ovoid fruit, known as a cacao pod, is 5.9-11.8 inches long and 8-10 inches wide; the ripe cacao pod weighs about 500 grams (1.1 lbs) and contains 20-60 seeds — commonly called cocoa beans — that are embedded in a white pulp. Cacao seeds, when processed, supply the main ingredient in chocolate and cacao powder; cocoa butter is a waste byproduct. The white pulp is often used to prepare a refreshing juice, and when fermented is made into a popular alcoholic beverage. Cocoa (Theobroma cacao). Source: Martius, Eichler & Urban, 1886. Whole, raw cacao beans are typically fermented, roasted, and separated from their hulls as a first step in the process of making chocolate. Cocoa butter, which constitutes 54-58% of the hulled bean, contains a high proportion of saturated fats, 69% of which consists of oleic and stearic acids in equal proportions; 26% of the fatty content of cocoa butter is palmitic acid; the remaining 5% consistes of linoleic acid (3.2%), arachidic acid (1%), palmitoleic acid (o.3%), and other fatty acids (0.5%). Raw cacao powder, produced from cacao beans from which much of the cocoa butter has been reduced from 54-58% to 9%, provide a concentrated source of cocoa flavanols (up to 10% of the powder by weight) and theobromine (2-10% by weight). Evidence derived over the past two decades from in vitro experiments, animal models, observational studies, and clinical interventions suggests that cocoa flavonoids work via a variety of mechanisms to modify risk factors associated with chronic human cardiovascular and neurodegenerative diseases. Evidence suggesting that cocoa flavanols may play a role in reducing the risk of cardiovascular disease has resulted in several systematic reviews and meta-analyses. Now additional studies are focusing on identifying the molecular pathways underlying the effect of cocoa flavanols. These will be bolstered by clinical trials designed to test their impact on disease endpoints. 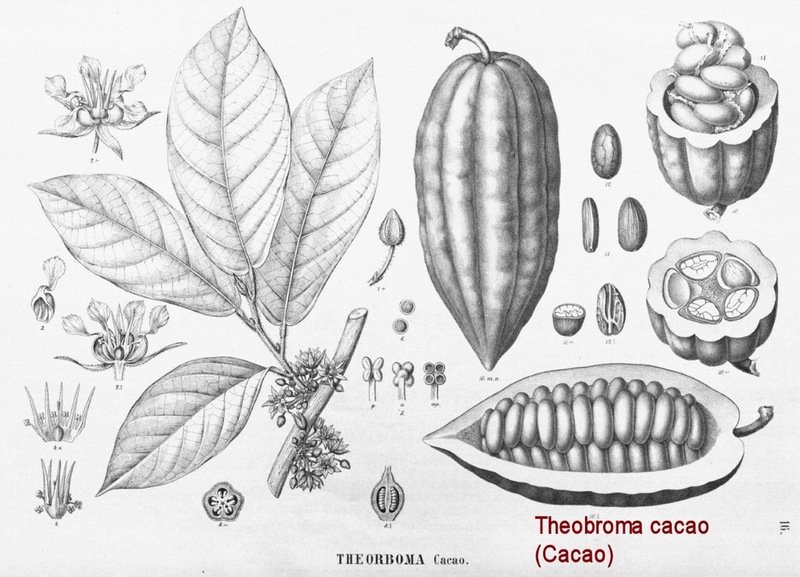 Theobromine, formerly known as xantheose, is a bitter alkaloid of the cacao plant, and is found in chocolate and in a number of other foods, including tea leaves and kola nuts; in the raw, unprocessed cocoa bean it is present in concentrations from 1.0-2.5% (Astrid, 2013). 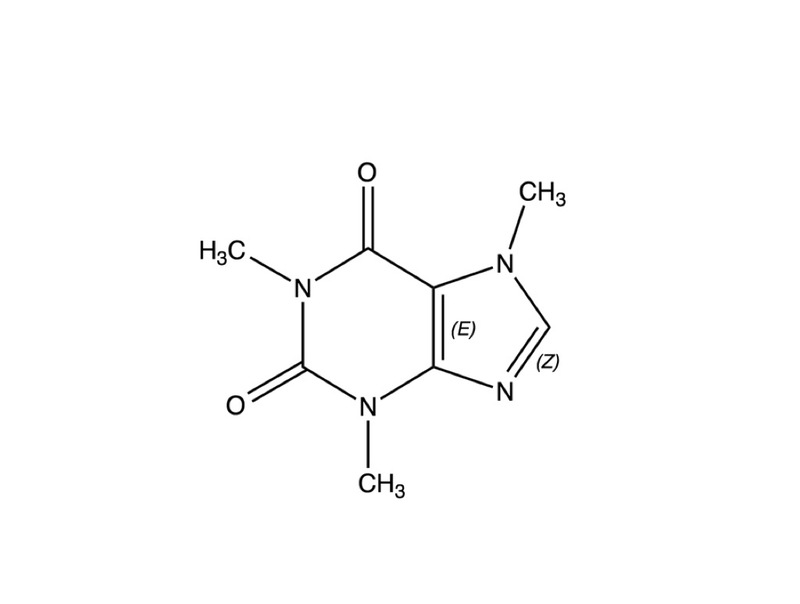 It is nearly identical to the caffeine molecule shown at right, differing only in the absence of one of the three methyl groups attached to the caffeine molecule. Recent scientific studies have focused on the potential for cocoa flavanols to enhance blood flow in the human brain and improve congitive performance, as well as help prevent cardiovascular disease and cancer. Bayard et al. (2007), for example, found that the Kuna peoples living on the San Blas Islands, in Panama — who drink a flavanol-rich cocoa as their main beverage, supplying more than 90o mg/day — experienced significant reductions in deaths caused by cancer, diabetes mellitus, and cardiovascular disease. NOTE: The San Blas islands are a group of islands in the archipelago de San Blas, located in the Northwest of Panama facing the Caribbean Sea. There are 378 islands within the archipelago scattered in an area comprised of 100 square miles. Most have no inhabitants, but the larger ones are occupied by the gentle native people known as the Kunas. Caffeine is a bitter, white crystalline purine found in seeds, nuts, and leaves of a number of plants native to South America and East Asia. The best known source of caffeine is the coffee bean, but it may also be present in raw unprocessed cacao beans in concentrations from 0.06-0.4% (Astrid, 2013); this assertion is challenged by some sources that claim raw, unprocessed, unroasted/untoasted cacao beans have zero caffeine content, and the caffeine isolated in roasted beans is a consequence of the roasting process. 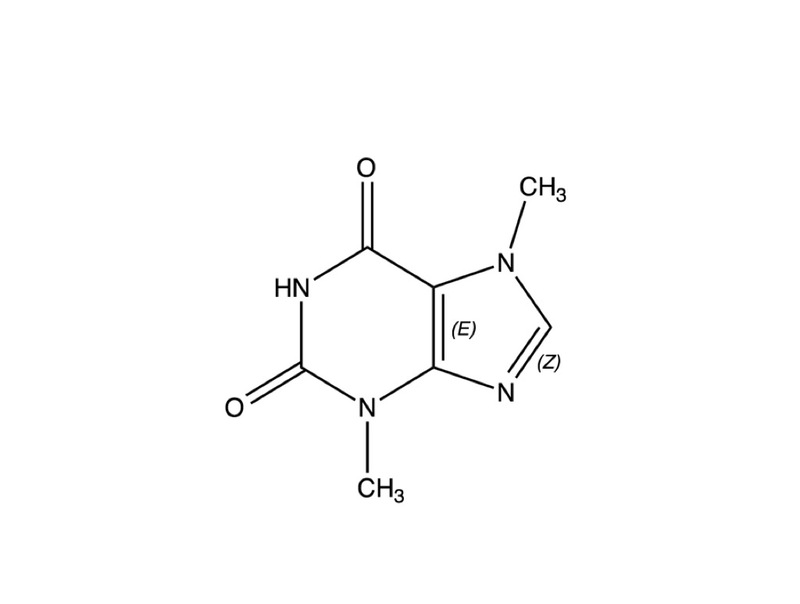 Caffeine is chemically similar to theobromine, differing only in having one more methyl group than has theobromine. Human dietary intervention trials with flavanol-containing cocoa products, carried out by Erdman et al. (2008), were found to demonstrate improvements in endothelial and platelet function, as well as blood pressure. These studies provided direct evidence for the potential cardiovascular benefits of flavanol-containing foods and helped to substantiate epidemiological data from other studies. In the Erdman et al. study, the daily consumption of flavanol-containing dark chocolate was associated with a significant mean reduction of 5.8 mmHg in systolic blood pressure. Together the results of these human dietary intervention trials provided scientific evidence of the vascular effects of cocoa flavanols and suggested that the regular consumption of cocoa products containing flavanols may reduce risk of CVD. Brickman et al. (2014) investigated the hypothesis that cocoa flavanol consumption might slow or reverse age-related cognitive decline, by focusing on the effects such flavanols have on the region of the brain known as the dentate gyrus (DG). The DG is a region in the hippocampal formation whose function declines in association with human aging. 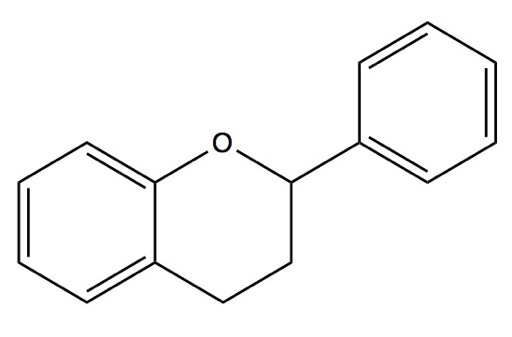 Catechin, a flavan-3-ol, is a tuype of natural phenol and antioxidant produced as a secondary metabolite in plants. NOTE: Some 300-400 chemical compounds (the number cited depends on the reporting authority) have been isolated from the cacao plant. One of the most important of these is theobromine, a stimulant in its own right, with a chemical makeup similar to that of caffeine, differing only in the manner described in the captions for the two molecules posted here. Theobromine is derived from xanthosine, a nucleoside that, on cleavage of the ribose and N-methylation yields methylxanthosine, its immediate precursor. Both theobromine and caffeine compete with the neuromodulator adenosine, which binds to adenosine receptors in the body — notably in the brain but elsewhere as well — to inhibit neural activity. —Adenosine receptors in the human body are found in four types (A1, A2a, A2b, and A3). Each is encoded by s separate gene and each has different functions, though some overlap in function occurs. Both the A1 and A2a receptors regulate myocardial oxygen consumption and coronary blood flow, and in the brain regulate the release of other neurotransmitters such as glutamate and dopamine, but the A2a receptors additionally have anti-inflammatory effects throughout the body. A2b and A3 receptors, which are mainly located peripherally, are mostly involved in modulating processes associated with inflammation and immune responses. Caffeine, owing to its more promiscuous molecular structure, is better able to bind to adenosine receptors than theobromine, making it the more stimulating of the two by a factor of two or three. —Methyl Groups in Organic Chemistry: A methyl group is an alkyl derived from methane; it contains one carbon atom bonded to three hydrogen atoms, and thus has the chemical formula CH3. Methyl groups occur in numerous organic compounds and, in most are very stable. While usually part of a larger molecule, it can be found on its own in anion, cation, or radical form. In anion form it has eight valence electrons, while in the radical and cation forms it has 7 and 6, respectively; all three forms are highly reactive and rarely observed. The structural distinction between theobromine and caffeine also makes the latter better able to traverse the blood/brain barrier, where in the brain it has a positive effect on the alertness of its subject. Theobromine, by comparison, is more effective at relaxing smooth muscle tissue and inducing positive effects on mood. Cocoa beans naturally contain about 1% theobromine, and raw unprocessed cocoa powder has up to 10%. Besides theobromine, cacao contains many other natural constituents. Scientific studies are now focusing on the positive effects some of these have on the human body. Among the most intriguing constituents of raw cacao beans are a long list of antioxidants and bioactive chemicals known as flavanols, which biochemists refer to as flavan-3-ols. The flavanols are derived from flavans, benzopyran derivitives that use the 2-phenyl-3,4-dihydro-2H-chromene skeleton. Benzopyran is a polycyclic organic compound that results from the fusion of a benzene ring to a heterocyclic pyran ring. IUPAC nomenclature refers to it as chromene. The two isomers of benzopyran vary by the orientation of the fusion of the two rings with respect to the oxygen, resulting in either 1-benzopyran (chromene) or 2-benzopyran (isochromene)—the number denotes where the oxygen atom is, by standard naphthalene-like nomenclature. The radical form of benzopyran is paramagnetic. The unpaired electron is delocalized over the whole benzopyran molecule, rendering it less reactive than would be the case otherwise, similar to the cyclopentadienyl radical. Commonly, benzopyran is encountered in the reduced state, in which it is partially saturated with one hydrogen atom, introducing a tetrahedral CH2 group in the pyran ring. Therefore, many structural isomers are possible owing to the multiple possible positions of the oxygen atom and the tetrahedral carbon atom. Flavanols are part of the chemical family of flavonoids/bioflavanoids, named from the Latin flavus = yellow, which is their natural color. They and many other botanical constituents are referred to as secondary metabolites because they are not involved in the normal growth, development, or reproduction of the organism, as are primary metabolites. Unlike the latter their absence does not result in immediate demise of the plant, and may not affect the plant’s health or longevity at all. More often than not, however, their presence plays a positive role in improving the organism’s survivability, fecundity, and/or esthetics. Further, their presence often plays important roles in plant defense against herbivory and interspecies predation. Humans have, for thousands of years, useed botanically-derived secondary metabolites as medicines, flavorings, and recreational adjuncts. Thus, flavonoids, ubiquitous in botanical chemistry, fulfill a long list of important evolutionary functions. Since their inclusion in the plant has a cost, they would eventually be lost as the plant evolved further, so their presence suggests a benefit to their hosts. The range of benefits tabulated thus far is lengthy. For example, they are the most important plant pigments used to color flowers yellow, or red/blue to attract pollinators. In higher plants they filter UV radiation, and fix nitrogen symbiotically. They appear to function in chemical messaging, physiological regulation, and plant cycle inhibition, among others. 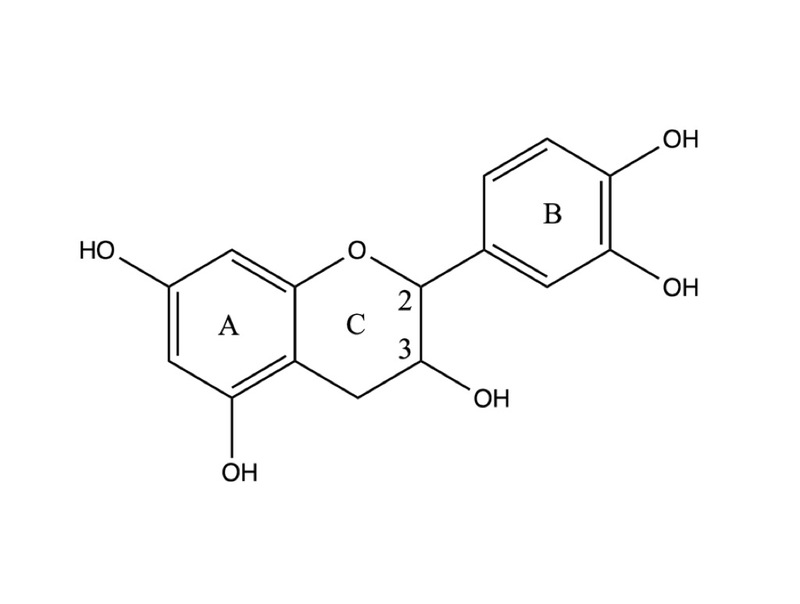 Anthoxanthins, which themselves are divided into two groups, (a) flavones such as luteolin, apigenin, and tangeritin, and (b) flavonols such as quercetin, kaempferol, myricetin, fisetin, alangin, isorhamnetin, pachypodol, rhamnazin, pyranoflavonols, and furanoflavonols. Flavans, including flavan-3-ol. flavan-4-0l, and flavan-3,4-diol (leucoanthocyanidin). The flavan-3-ols (flavanols) use the 2-phenyl-3,4-dihydro-2H-chromen-3-ol skeleton, and are represented by catechin, gallocatechin, catechin 3-gallate, and epigallocatechin 3- gallate, and the epicatechins. In addition, a few other compounds with biological activity can be found in cocoa beans and derived products. These include anandamide, an endogenous ligand for the cannabinoid receptor found in low amounts, 0.5 μg g−1, salsolinol and tetrahydro‐β‐carbolines (THBCs). The latter compounds are found in milk, dark chocolate, and cocoa in concentrations of 5, 20, 25 μg g−1 for salsolinol and 1.4, 5.5 and 3.3 μg g−1 for THBCs, respectively (Nehlig, 2013). Phenylethylamine is a natural alkaloid, a chemical related to amphetamines, which functions as a neuromodulator or neurotransmitter in the central nervous system. In addition to its presence in all mammals, phenethylamine is found in many other organisms and foods, such as cacao powder and chocolate, especially after microbial fermentation. It is also found in wine and cheese. But the highest trace amounts have been reported in chocolate. Though synthetic forms of PEA are marketed as dietary supplements with purported mood and weight loss-related therapeutic benefits, orally ingested phenethylamine is thought by many authorities to be inactivated via extensive presystemic metabolism in the gut, which prevents significant concentrations from reaching the brain. Despite this, a study by Sengupta et al. found that synthetic Beta-PEA at doses of 0.63 and 1.25 mg/day are capable of causing Parkinson’s symptoms. If so, that would mean the orally ingested synthetic Beta-PEA manages to bypass presystemic metabolism, allowing trace concentrations to reach the brain. Chocolate contains averages concentrations of Beta-PEA between the levels cited by Sengupta et al. The effects described by Sengupta et al. do not occur on consumption of natural sources of Beta-PEA, but only with synthetic and enriched varieties. The Brickman et al. study sought causal evidence that dentate gyrus (DG)-associated memory decline in otherwise healthy elders could be improved by interventions that enhanced DG function, addressing the issue by first using a high-resolution variant of functional magnetic resonance imaging (fMRI) to map the precise site of age-related DG dysfunction and developing a cognitive task whose function localized to this anatomical site. In a controlled randomized trial, these tools were applied to study healthy 50–69-year-old subjects who consumed either a high or low cocoa flavanol–containing diet for 3 months; the study found that a high-flavanol intervention enhanced DG function, as measured by fMRI and by cognitive testing, established that DG dysfunction is a driver of age-related cognitive decline, and suggested a non-pharmacological means (regular consumption of cocoa flavanols) for its amelioration. NOTE: The dentate gyrus is part of the hippocampus and/or hippocampal formation. Among other things, a healthy dentate gyrus is believed to play important roles in the formation of new episodic memories and to predispose subjects to being open to spontaneous explorations of novel environments. Besides the olfactory bulbs and cerebellum, it is one of the few brain structures capable of exhibiting high rates of neurogenesis. Granule cells within the molecular layer of the dentate gyrus receive the hippocampal formation’s major excitatory input from the cortex. This input is primarily made up of signals from layer II of the entorhinal cortex and is the first connection of the trisynaptic loop, the hippocampal circuit. The dentate gyrus is composed of unidirectional projections disposed towards CA3 pyramidal cells of the hippocampus. It consists of three layers of neurons: molecular, granular, and polymorphic. The middle layer is most prominent and contains granule cells that project to the CA3 subfield of the hippocampus, as previously mentioned. These granule cells project mostly to interneurons, but also to pyramidal cells and are the principal excitatory neurons of the dentate gyrus. The major input to the dentate gyrus is the perforant pathway, from layer 2 of the entorhinal cortex. The dentate gyrus receives no direct inputs from other cortical structures. The perforant pathway is divided into the medial and lateral perforant paths, generated, respectively, at the medial and lateral portions of the entorhinal cortex. The medial perforant path synapses onto the proximal dendritic area of the granule cells, whereas the lateral perforant path does so onto the distal dendrites of these same cells. Most lateral views of the dentate gyrus may appear to suggest a structure consisting of just one entity, but medial movement may provide evidence of the ventral and dorsal parts of the dentate gyrus. Granule cells in the dentate gyrus are formed relatively late in the developing brain. In the rat brain, for example, approximately 85% of the granule cells are generated after birth, while in humans granule cell generation begins during gestation weeks 10.5 to 11, and continues during the second and third trimesters, after birth, and into adulthood. Studies of the germinal sources of granule cells and their migration pathways during rat brain development show that the oldest granule cells are generated in a specific region of the hippocampal neuroepithelium and migrate into the primordial dentate gyrus around embryonic days 17/18; they then settle as the outermost cells in the forming granular layer. Next, dentate precursor cells move out of this same area of the hippocampal neuroepithelium and, retaining their mitotic capacity, invade the hilus, or core, of the forming dentate gyrus. This dispersed germinal matrix is the source of all future granule cells. The newly generated granule cells accumulate under the older cells that began to settle in the granular layer. As more granule cells are produced, the layer thickens and the cells are stacked up according to age – the oldest being the most superficial and the youngest being deeper. The granule cell precursors remain in a subgranular zone that becomes progressively thinner as the dentate gyrus grows, but are retained in adults as sparsely scattered cells that constantly generate granule cell neurons. A variety of differences have been noted dentate gyrus studied in rat, monkey and human brains. For example, the granule cells only have apical dendrites in the rat, while in monkeys and humans many granule cells have basal dendrites as well. Besides being one of the few regions of the brain exhibiting neurogenesis — thus facilitating the creation of new memories in the DG and later, its storage in the hippocampal CA3 — in adults, the dentate gyrus appears to have a functional role in stress and depression that may be associated with memory formation. Neurogenesis in the DG increases, for example, in response to chronic treatment with antidepressants. By comparison, the physiological effects of stress, associated with the release of glucocorticoids such as cortisol, as well as activation of the sympathetic division of the autonomic nervous system, have an inhibitory effect on the process of neurogenesis in primates. Because both endogenous and exogenous glucocorticoids cause psychosis and depression, neurogenesis in the dentate gyrus appears to play an important role in modulating symptoms of stress and depression. The dentate gyrus also serves to pre-process memories for later storage. When information arrives via the perforant pathway, it separates similar information units into distinct, unique modules in preparation for later transfer of the relevant data to storage areas of the hippocampal CA3 section. Studies on the effects of cocoa flavanols have been sparse, and further evidence — in the form of large-scale randomized trials — is needed before arriving at firm conclusions. The Cocoa Supplement and Multivitamin Outcomes Study (COSMOS), based at Harvard University-affiliated Brigham and Women’s Hospital and in collaboration with Mars Inc., is presently enrolling 18,000 participants in a large-scale, long-term randomized trial that will examine the benefits of cocoa flavanols. Women 65 or older and men 60 or older will be randomly assigned to consume either 750 mg of cocoa flavanols per day in capsule form or an identical capsule containing a placebo. Researchers with COSMOS will follow the participants for four years and compare the numbers of heart attacks, strokes, and deaths in each group. Supplementary studies will focus on potential benefits of cocoa flavanols on brain health, including memory, decision-making skills, mood, and cognitive performance, and on metabolic health. Bayard, V., et al. 2007. Does Flavanol Intake Influence Mortality from Nitric Oxide-Dependent Processes? Ischemic Heart Disease, Stroke, Diabetes Mellitus, and Cancer in Panama. International Journal of Medical Sciences 4(1):53-58. Blumberg, J. B., et al. 2014. The Science of Cocoa Flavanols: Bioavailability, Emerging Evidence, and Proposed Mechanisms. American Society for Nutrition. Adv. Nutr. 5: 547–549. Erdman, J.W., et al. 2008. Effects of cocoa flavanols on risk factors for cardiovascular disease. Asia Pac J Clin Nutr. 2008;17 Suppl 1:284-7. Nehlig, Astrid. 2013. The neuroprotective effects of cocoa flavanol and its influence on cognitive performance. British Journal of Clinical Pharmacology 75(3): 716-727.